This premium New Tempesta 100 Shower Slider Rail Kit is perfect for upgrading your shower. The kit consists of a 600mm shower rail, 1750mm Relexaflex hose and a luxury shower head with 3 spray functions. The shower head offers you the luxury to choose between three types of spray: Rain spray with the feeling of an invigorating rain shower, Rain O2 is just a bit softer with air bubbles being added to the water and the Massage spray which gives a pulsating stream of water for a soothing effect. 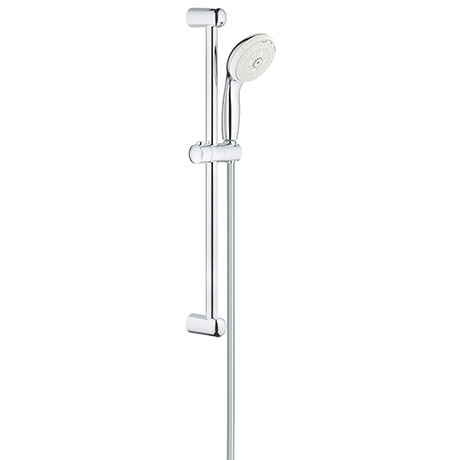 The shower head and slider kit are finished with the maintenance friendly, shiny GROHE StarLight® chrome coating.